Aetna Inc the health insurer based in the U.S. is near to acquiring its rival Humana Inc. A deal might be signed as soon as this weekend, reported a national news agency, citing people close to the situation. Humana also received another offer from the Cigna Corporation but the board at Humana preferred the offer it had received from Aetna. 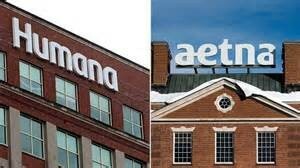 Humana and Aetna were in negotiations on Thursday adding that that there was not any certainty that Aetna would win. Cigna also has a chance said one of the sources close to the matter. Aetna sent a formal bid of both cash and stock during the week to purchase its rival. Humana, which has a $27.6 billion market value as of the close of Friday’s market, was not available to make any comments regarding the negotiations. The international news agency said that discussion between Aetna and Humana intensified over the last couple of days after it came to light over last weekend that its rivals Cigna and Anthem also held their own merger talks. Last Saturday, Anthem offered a deal for cash and stock of $47 billion for Cigna, which is smaller than Anthem. However, the offered was not accepted the following day by Cigna board members. The talks arrive at a time when insurers are seeking scale in order to trim costs and negotiate prices that are lower with doctors. Which are moves they said would make insurance more affordable to everyone. Aetna shares have jumped during the negotiation process to a new record high of $133.04, which included a one-day jump of 4.3% after the report was released that it was considering acquiring Humana. Shares at Humana were up over 6.5% in trading on Friday. Cigna shares were up more than 2.7% to $170.10, which was also a record high for the insurer prior to paring some of the gains to trade 1% higher for the day closing at $167.50.